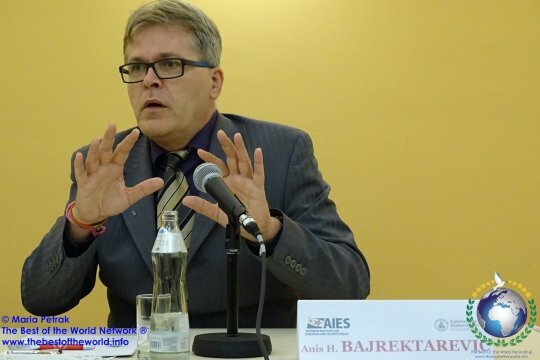 Prof. Anis H Bajrektarevic is chairperson and professor in international law and global political studies, Vienna, Austria. He has authored six books (for American and European publishers) and numerous articles on, mainly, geopolitics energy and technology. Professor is editor of the NY-based GHIR (Geopolitics, History and Intl. Relations) journal, and editorial board member of several similar specialized magazines on three continents. 868: 30 seconds to mars. Imperialism of Lullaby: Noah, Peter Pan and the Sleeping Beauty (I Part)5 April 2019: Imperialism of Lullaby: Noah, Peter Pan and the Sleeping Beauty (I Part)! лучшие комедии. Imperialism of Lullaby: Noah, Peter Pan and the Sleeping Beauty (I Part).